The OConnor Universal Baseplate is a sturdy camera platform that allows you to adapt smaller systems – like DSLRs, mirrorless cameras, and small cinema cameras – to larger industry-standard support rigs or to very long lenses the camera couldn't otherwise support safely. Lightweight support brackets on either side of the baseplate provide extra stability and a convenient way to mount accessories at the rear of the camera. 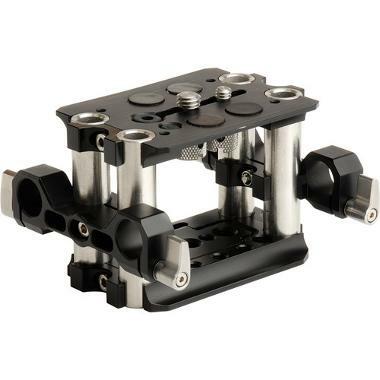 The rear 15mm rods can be elevated for further support of your setup, which is ideal for DSLRs that can only be mounted by a single tie-down screw – the elevated rear rods supply 3 points of rigidity. Adapt any camera to a Studio 15mm or 19mm bridgeplate by changing out the four vertical 15mm rods. 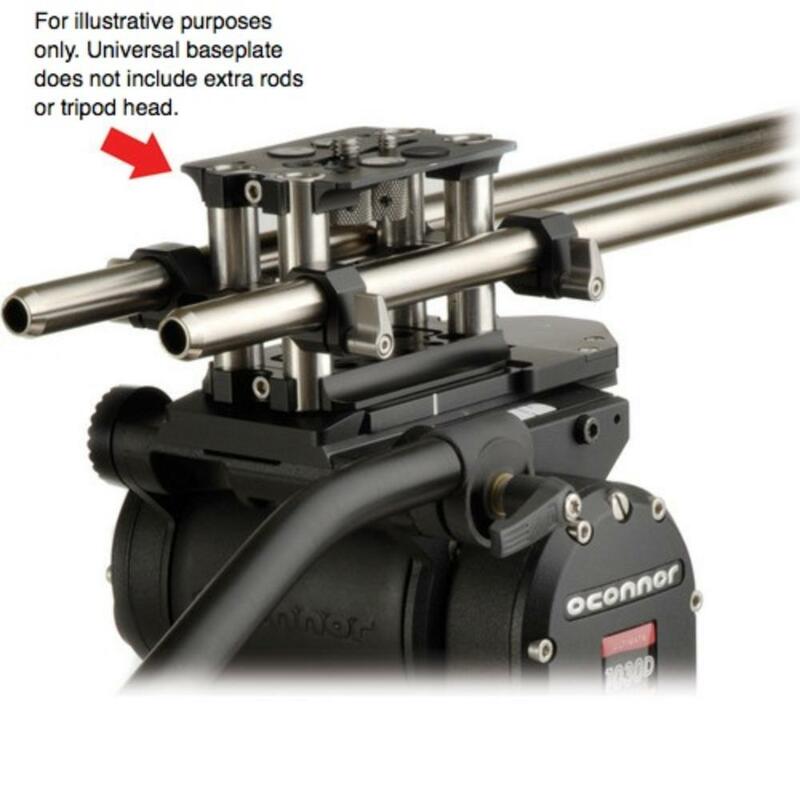 The OConnor Universal Baseplate is a versatile add-on for just about any support rig.